At the Winecup Gamble Ranch we value feedback. Please feel free to contact us with your questions and comments at any of the channels listed below. For technical inquiries or resource information, please contact Ranch Manager James Rogers at james@winecupgambleranch.com. The Winecup Gamble Ranch has two main headquarter locations, the Winecup Division and the Gamble Division. Winecup: Located along Highway 93, the entry is 26 miles north of Wells, NV or 46 miles south of Jackpot, NV on the east side of the highway. At the ranch entry sign, travel east 3 miles to the ranch headquarters. 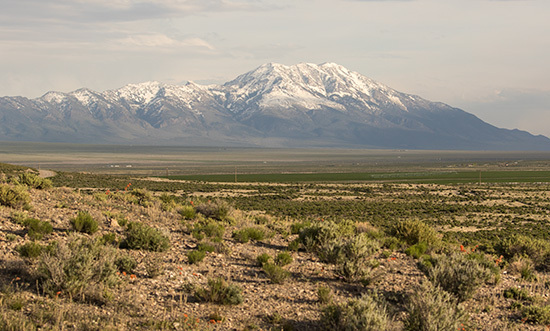 Gamble: From I-80 between Wendover and Wells, NV take Route 233 northward at the Oasis Exit to the town of Montello. At the north side of Montello is a ranch sign, turn north on a gravel road and travel 7 miles to the ranch headquarters.